Ready for the pancake recipe that beats the competition? 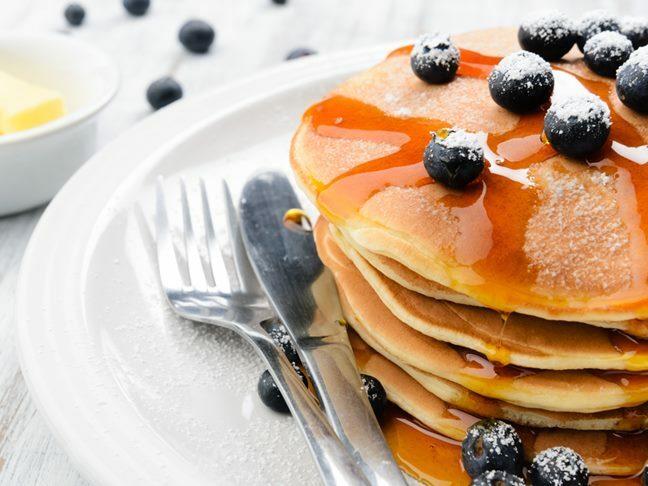 Fresh pancakes in the morning are a special treat, particularly when served alongside tantalizing fruit and lots of rich maple syrup. Whip up a batch before sending the kids off to school in the morning for a filling and comforting breakfast made in under 30 minutes. Step 1: Add oil to griddle or pan. Step 2: Heat griddle or pan over medium heat. Step 3: When oil is hot, add about ¼ cup of pancake mix to griddle or pan for each pancake. Step 4: Brown pancakes on each side (flipping only once). Step 5 (optional): Serve alongside fruit, butter, and maple syrup. Find more recipes from Kelsey Banfield at the naptime chef.